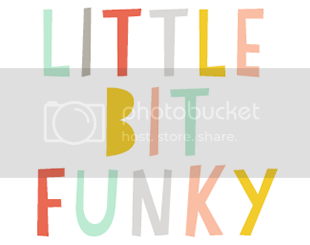 Little Bit Funky: Happy Birthday Little Bit Funky!!! Happy Birthday Little Bit Funky!!! Today marks the FIVE year anniversary of my sweet little business Little Bit Funky! I am SO proud of how far it and I have come over the last five years...all that I have learned and shared and grown! I can still remember the day that Doug came home from work and I told him "I think I'm gonna make cards and sell them in an online shop". I had no idea that that decision would turn into a real live business where I can earn just as much as I could with my COLLEGE DEGREE! Crazy! In fact, I truly believe that Little Bit Funky is part of the reason that God moved us to Charlottesville. There aren't many days that I am not completely enamored with what I get to do for a living, all will taking care of my little monkeys. I am blessed and grateful for it all. I am especially grateful for each and every one of you who have supported me over the last five years...so many of you have become dear friends to me and I am forever thankful for your support! As you can see from above and if you have peeked into the shop lately, I've been inspired to start making all sorts of cute pouches and iPad sleeves (Kindle sleeves coming soon!). I'll also be making some sunglasses cases and who knows what else. To celebrate my five year anniversary I'll send ONE of you a happy, happy birthday package from me! Who knows what I will find to put in there but it will at least contain an iPad or Kindle case, a pouch and a sunglasses case! To enter this giveaway leave me a comment telling me how long you have been a Little Bit Funky fan and/or how you found me! :) I'll choose a winner next week! I found you on etsy via a Local search for C'ville! So fun to read your blog and recognize some of the places you visit. And I really related to you on C'ville not being your forever home (us either!). Making the best of where God has placed us for now! I stumbled upon your feed on IG a couple months back, and I'm so glad I did! Happy Birthday, Little Bit Funky!! Happy birthday LBF! I think I have been reading for a few years now! Goodness I dont even remember how I found you! I found you while toodling around other craft blogs... can't remember which one exactly linked to you, but I am sure glad of the happy accident that led me here! I've been reading your blog and purchasing your awesome products for a little over 2 years. 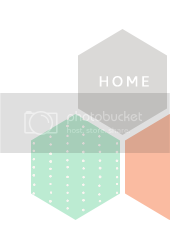 Love love love your blog and shop. Happy anniversary! i can't even remember how i first found LBF, but i've been a fan for several years - my first purchase from the shop was a belt, and it's my favorite belt i've ever owned! i have a few other treasures from LBF and love them all! thanks for being so great! You ask hard questions! I'm not really sure, but it's been at least 2 years and I found you through a link from somewhere??? Sorry, not very specific! Happy Birthday Little Bit Funky! Happy Anniversary LBF! I've been a follower for a while....dare I say from the beginning stages? Or pretty close to it, at least. Of course I found you through Doug. I remember the cute little cards you started with...you've evolved so much since then! Congratulations! Happy Birthday Little Bit Funky! Crystal, I adore your blog and your motivation to get things done. Having a handmade business and a family is hard (I know) but it is totally worth it! I look forward to reading your blog each day. I've been a fan for the last three years...I think? I stumbled across your blog after I checked out your etsy shop. I'm so glad I did. Fun giveaway! Congrats on 5 years! I've actually only been a follower for about a month and I found you from another blog but I can't remember which one! I have been a fan for at least a few years. Happy birthday to your blog! I love reading and getting inspired! No idea how I found you but I am so glad I did! Happy Birthday!!! 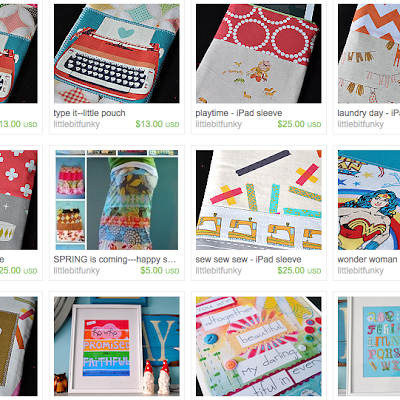 I found you first on Etsy about 4 years ago, then quickly became a follower of your blog! I hope the next five years are filled with just as much craftiness! Happy Birthday Little Bit Funky! I have been a [mostly] silent reader for a long time and don't know how I found your blog but I love your stuff and your parenting style. Both are "me." Congratulations on a successful business (both mommyhood and craftiness). I have been a fan for about 2 1/2 to 3 years. I think I found you via Meg Duerksen or Lemon Tree Studio or Janesays. One of them...haha. Congrats lady! I think I've been following for almost a year, but I'm not sure how I found you. 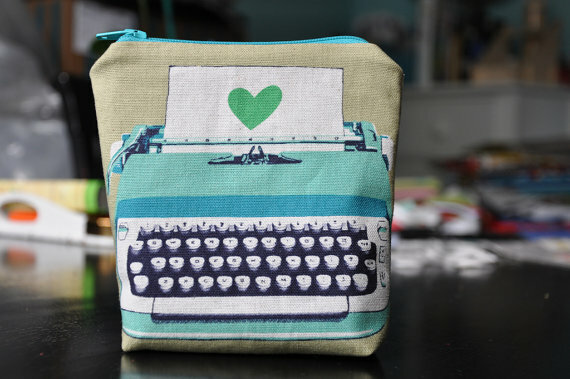 I love that typewriter fabric. Keep up the great blogging! I have been following you for a long time !!!! I love your site. I think I found you on a link borad but it was a long time ago. I hope I win!! I love the crafting posts as well as the motherhood posts as I am a mom to two as well. Congrats on the 5 yrs! How fun! My birthday was Wednesday. :) AND - I just got a new Kindle Fire! I have been a fan for a few years... Maybe two? But I am absolutely in love ith your shop. I ordered animal hoho's for my daughters for Christmas and they just adore them! Congratulations!! I have been a long time reader and follower. In fact, yours is one of the very first blogs I ever read/found. I did not know anything about blogs, but one day one summer (when your Moses was a baby) I found it. For some oddball reason, I remember reading the post where you recommended a particular type of Pantene shampoo for thin or fine hair, and I went to the store and bought that product! That was about the time I started reading, I believe, and if I am not mistaken, most of your creations were paper crafts. I would love to win an ipad case as I just got an ipad last week!! I started reading when you were pregnant with Aaron. I found your blog after I found your shop. Love stopping in! I'm lucky to know you in real life as well as from your blog. And my girls are the happy owners of custom-made ho-ho's created from their baby clothes. Happy b'day to your business! I don't know exactly how I stumbled upon your cool little blog...but I have been following for about a year or so. Always one of my favorite sites to check out. Happy Blog Birthday! A friend of mine shared your store/blog with me 3 or 4 years ago and I've been hooked ever since. I appreciate your honesty and admire your work. Looking forward to seeing what else comes out of your shop! Congratulations! I found you on Instagram, actually, just two or three months ago! Love your work and attitude and encOuragements! Happy Birthday!! I've been following you for about 2 years now. And I'm so greatful for the words of wisdom and the encouragement you share! I think it's been about a year since I started following you... and I think I found you through a link on pinterest, but I'm not sure. So happy you've made it 5 years -- what an inspiration! I was just thinking of you last night as my little girl laid on her bedroom floor while we read books together. She was snuggled up with a blanket and her "be kind" pillow that you made for me a couple (2?!) years ago. I think I stumbled upon your shop while searching on etsy.I can't quite remember. Either way, I love your blog and your shop goodies. Happy Birthday, LBF! I think I have been buying and looking at your shop for 4 years. I haven't been able to buy a whole lot in a while in efforts to cut back on spending, but I love your shop. I always know you will have super cute and creative items in your shop! My good friend Amy Bell first introduced me to your shop. Happy Anniversary! I've been a fan for as long as I've been following blogs. I'm not even sure where I found you, but yours is the first blog I read in the morning. It's a great way to start my day! I discovered your blog after a friend sent me a link to your tutorial about turning a t-shirt into a skirt. That was probably over a year ago, and I have thoroughly enjoyed all of the posts I have read since then! Grace and peace to you. Happy Birthday! I found you though a blog link about a year ago. I love all the creative stuff you do. 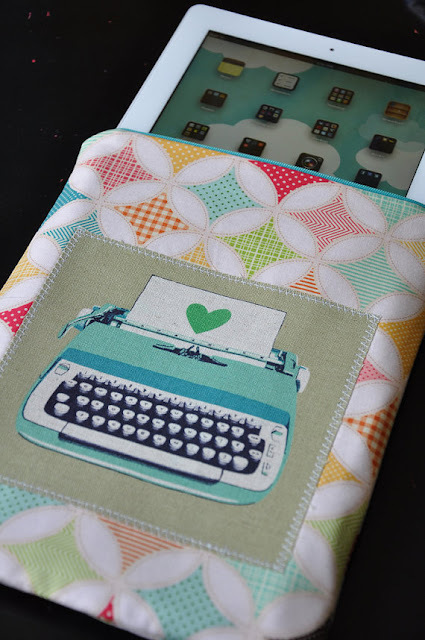 I completely adore those new Ipad sleeves with typewriters on them! I have been following you so long that I really don't remember exactly how I found you. Maybe from the Whatever blog with Meg or Joy's Hope with Julie? I am not very sure - it's been a long time - way before the Hoho was born I know! I've been following your blog for a couple of years. I have no idea how I found you...through another crafty blog I'm sure. I love checking your blog everyday! SO exciting!! It's so fun to see how far you've come- both with your blog and your family... I've been following for maybe 3 years now? I think I first found you when my firstborn arrived in this world, and I decided very quickly that I would need a stash of messy headbands. Since then, you've given me advice on sewing machine purchasing and encouragement and affirmation (that you didn't know you were giving) about my parenting. You are so wonderful! I just found you yesterday when I saw your cinnamon sugar donut recipe on pinterest! I immediately went through the rest of your blog and added you to the list of blogs I check daily! I have been reading your blog for about 2 years--I don't actually know how I found you, but I have purchased a minky blanket and headband covers! Love them and you! I have been reading your blog for about a year now. I was looking for way to turn my moby wrap into pants for my little guy. Found you and and all of your wonderfulness! Love you your family and your blog! Thanks for all that you do! OH my! I don't even remember how long ago I found you! Before I knew about google reader, that's for sure! Where I had to actually type in the blog name to read your posts. -hehe, what did we do before the "next" button!- It was before Aaron was born for sure. And I have stayed because I love your authenticity. The ups and downs of life and all the craftiness in between. Happy Birthday! Golly, I can't remember how I found you, but I've been a faithful follower for 3 years. Moses and my daughter are 3 weeks apart in age, and Aaron and my son are 3 months apart. When I read your posts, I can definitely relate, especially in regards to Aaron and Jay. You are a daily inspiration to me! Happy Birthday! I am not sure where I found you but I think you are amazing! Happy Birthday to your business! So happy for your success! Happy Birthday Little Bit Funky. I am so happy that I found your blog. I came across it about a year ago through a link from an article on the AOL homepage. It was a link to your post where you had made the rainbow paper bunting (C'mon get happy). And you wonderful post led me to another great blog that I now love as well. I hope you and ytour family are well. Keep up the great work! To be honest I have no idea how I stumbled upon you. I know it has been less than a year, but I don't know how I found you! I have been a follower/reader/purchaser for...wow a couple of years already. I've been a fan for over a year. I can't exactly remember how I found you but I sure am glad I did. Your craftiness is inspirational! Thanks for sharing your life with us! i first found out about you on etsy when you where making button bouquets ...i check in on your blog everyday...you always inspired me as a mom and crafter. I've been reading your blog for about 2.5 years, ever since your sister-in-law Carolyn sent me one of your dresses for my newborn daughter! She was my RD in college and we still meet with a group of friends every summer...I remember her telling us when your boys were born! Sorry if that sounds like I'm a stalker! I'm certainly not a stalker...just a big fan of your talents and designs! Hi there! I found you on Etsy a year ago and LOVE your blog!!!! I have your "The LORD is my Song" print and every day I love it! Thank you for your delightful insights and fun! Happy Birthday, Little Bit Funky! I've been a fan for a couple months now! I don't remember how I came across your blog but I'm glad I did! Happy Birthday! I found you through another blog about 6 months ago but can't remember which. I only read a few so I should be able to remember but just don't! Glad you are doing something you love. I've been a fan of your blog for about 3 years. I don't remember which blog I was reading that linked me to yours, but I'm super glad that it did! 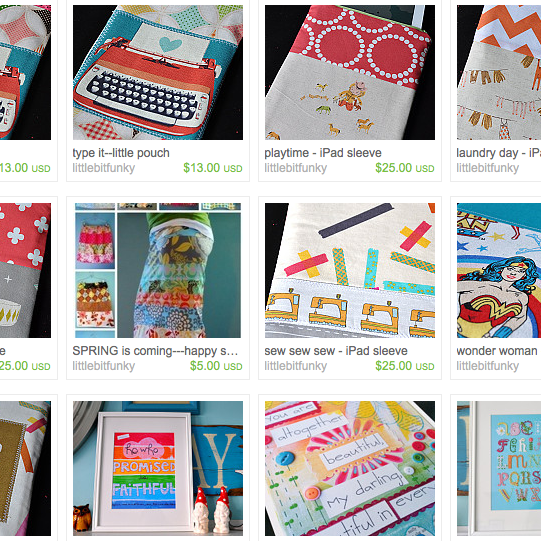 I enjoy lots of items from your shop already...would love to add to it! Happy Birthday!! I've been following your blog for probably at least three years?!? I'm so inspired and motivated by how you run your shop/home/life. All the best to you!! I'm not sure how I found you...did you sell on ebay? maybe i've been a follower for that long? i know it's been a long time. i'm so glad to now call you friend. congrats on five years! you deserve many, many more! I love your 20 min crafts, the recipes you share and your truly honest and authentic posts. Thanks for the chance to enter for a present although I feel as tho we should all be getting you something! Happy 5th Birthday to your blog! I love seeing all your fun projects and am inspired all the time by you and your heart for the Lord. Happy Birtdhay. I'm a newbie - just a couple of weeks, but love it and glad that I was invited to your celebration. Crystal...i was just thinking of you this morning...and thought i should let you know...ofcourse, you don't even know me, but the funny thing about this bloggy world is that people can become such an inspiration for each other..and YOU certainly are that for me.. so thankyou Little Bit Funky Momma...i have been a fan of yours since we got our computer 4 1/2 years ago!! Thankyou for adding so much to our lives!! I've been following you on instagram for a while now (thesweetpetunia) & I always loove the pretty things you make! I would be so excited to win some goodies. :) happy birthday to your shop! I can't remember how I found you- but I am glad that I did! Your blog is one of my favorite to read!! Congrats on 5 years!! I had to look back on Etsy, but my first purchase was in September of 2009! I think I found you from searching a fabric and found your quilted Christmas pillows. I have loved seeing what you will come up w/ next!!! Congrats!!! I had to look back on Etsy and my first purchase was in September, 2009. I think I was looking for a fabric and came across your Christmas patchwork pillows. I have loved seeing what you will one up with next!! Your blog and I share a birthday! :D I started reading Little Bit Funky about 2 years ago when a friend told me about your sewing projects. Little did I know I would find great recipes, too! I love your creativity and thank you for sharing about how God has blessed you in doing what you love. Congrats on five years of blogging! I found you several months ago via another blog...can't remember which. Love what you do!! God bless! I've been a fan for about 2 weeks now... and it just keeps getting better! 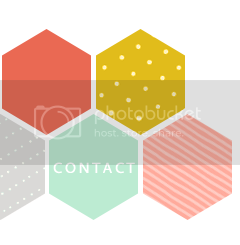 I was scrolling through randome blogs, looking at their blog links, and I found Little Bit Funky! I can't remember, I would guess about 4 years ago!! :) Feel blessed to follow! Happy Birthday! Honestly, I don't remember how long I've been reading your blog or how I found you, but I do know that I appreciate and enjoy your honesty, fun crafts and great recipes! Thanks a lot! I started sewing 2.5 years ago and my very inspiring best friend sent me your direction for a tutorial. I can't recall which on now, but I've been hooked ever since! I started sewing about 2.5 years ago and my very inspiring best friend sent me your way for a tutorial. I can't remember which one it was now, but I've been hooked ever since! Happy 5 Year!! I love your blog. I found you while searching for something for my son... I can't remember what, but I was so happy to find someone who openly talked about faith. Thanks for that. I have only been reading for a few months. Bought a skirt pattern from you via etsy and been reading the blog ever since. So must admit a bit of a newbie. But have back tracked and made of the most receipes - thanks to that I will need to make a another skirt - one that FITS! I remember being excited when I found this blog, but I can't recall HOW I found it. Probably a link from another fun crafty blog :) Been a few years, and it's the only blog I actually READ because I can relate to so much. HAPPY B-DAY LBF, may you be blessed with many more :) !! Been following you since I found you on pinterest. Great blog! Happy birthday Little Bit Funky!!! Happy Birthday! I have been following for a few years, possibly from the macs blog during sweet cora paige...? Your creativity is inspiring!! Hmmm, at least a year maybe a year and a half ago I found your blog. You've inspired me in so many ways. I love how colorful you are and you inspired me to paint my house in brighter colors instead of the usual beige. And at times your blog reminds me that we're all really more alike than different and it's best to just be comfortable with who I am. I have no idea, but it seems like from the beginning! So glad I delurked...you are a treasure friend! PS Looooove these items!!! Howdy - I just found you today! I found you via pinterest and have spent a lovely hour browsing through past posts. I really like your blog and your etsy shop - keep up the great work! wow! only 5 years?It has been long enough for me to actually reference you to my friends as "Crystal" and they know who you are. I know I found you thru Julie at Joys Hope a long time ago, it was before you were pregnant with Aaron. I enjoy your work as an artist, I love how you talk so freely about God and the way he works in your life, I love all your mommy controversy talk, and your recipes. My sister and I talk about you on a regular basis, and you somehow know what we are going thru b/c you tend to write about similar situations often. I love your blog. Thanks so much for putting it all out there! Happy Birthday Shoppe! If it's not too late I'd love to enter. If it is too late I still want to say CONGRATULATIONS!!!!!!!!! You are one of my biggest craft inspirations ever!!! I'm not sure how long I've been following. At least a couple years! Wait I just checked my email and the 1st time I emailed you was may 2010:) And I know I followed you long before that! LOVE all you do:) Your aqua goodwill dresser is GORGEOUS!! !